TORONTO-- Newmont Mining Corp. and Barrick Gold Corp. have had continuing contact since the two miners last week broke off talks to create a global mining giant, according to people familiar with the situation. But their senior executives are unlikely to resume formal talks at least until after Newmont's annual general meeting on Wednesday--if at all--these people and another person familiar with the situation said. Talks broke off because of a disagreement over plans for a spinoff of some assets, people familiar with the matter said. The continued contact suggests both sides are looking at a potential resumption of formal high-level negotiations. Peter Munk, Barrick's founder and chairman, said it is "difficult to find a reason" for his company not to merge with Newmont, in a deal that would provide cost savings given the proximity of the companies' mines in Nevada. "The economic gains of drilling the properties as one, of being able to disregard [company] borders, of establishing common infrastructure utilization, contain great benefits," he said, declining to talk about any details of negotiations. Why have "two accountants or two geologists when one could do?" he said. Any return to high-level talks could also be on pause until after Barrick's annual shareholder meeting in Toronto next week, at which Mr. Munk is to step down from the board. The latest round of negotiations was driven by Mr. Munk's successor, John Thornton, according to people familiar with the matter. The former Goldman Sachs Group Inc. banker is Barrick's co-chairman, along with Mr. Munk, but is to become sole chairman at next week's annual meeting. La última ronda de negociaciones fue manejada por el sucesor de P. Munk, John Thornton, quien está más familiarizado con las negociaciones. El ex banquero John Thornton es vicepresidente de Barrick a la par de Peter Munk quien será presidente solamente hasta la reunión anual de la próxima semana. Mr. Munk suggested that he has had less to do with negotiations, calling himself a "retired gentleman," and referring several times to Mr. Thornton's negotiating role. In interviews, Mr. Thornton has indicated a willingness to remodel Barrick, potentially increasing its exposure to copper and silver and bringing in Chinese partners. Mr. Thornton, who has served on the boards of several big-name companies, including Ford Motor Co., would be chairman in any new company, according to people familiar with the matter. On Monday, many analysts welcomed the news of a potential tie-up but said its success would hinge on the combined company being able to generate the cost savings that the minors reportedly have outlined. According to people familiar with the matter, the companies think they can wring out $1 billion in cost savings, with much of the total coming from their operations in Nevada. Most analysts, however, peg the potential savings at closer to $500 million. Some shareholders and others say that even those savings make the potential alliance worthwhile. "It makes sense; cost savings are there," said John Ing, a longtime Barrick investor at Toronto-based Maison Placements Canada Inc.
Several analysts have cautioned against too much excitement, however, given the fact that the new companies would inherit around $15 billion of net debt and would face the same issues of growing their production at a time when new, large high-grade deposits are harder to find. Part of that debt would go into the spinoff, according to one person familiar with the matter. 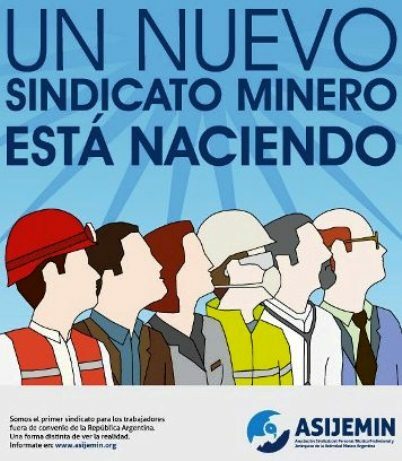 Muchos analistas han advertido acerca de la gran conmoción, sin embargo, dado el hecho que la nueva compañía podría heredar alrededor de U$S 15000 millones de deuda y podría enfrentar el mismo problema de crecimiento de su producción en un momento en que es difícil encontrar depósitos de alta ley.- Parte de esa deuda podría incidir en forma directa sobre dicha producción, de acuerdo a un entendido en el tema. This isn't the first time Newmont and Barrick have tried to come to a deal, adding to the caution that some analysts and investors are displaying. Previous talks mainly fell apart over the issues of boardroom composition and which executives would get the top jobs, several former executives said. But Mr. Munk said that this history of talks suggests the deal is more likely, not less. "Serious people do not talk to each other over two decades unless there is a cogent, valid reason." Dana Mattioli contributed to this article.